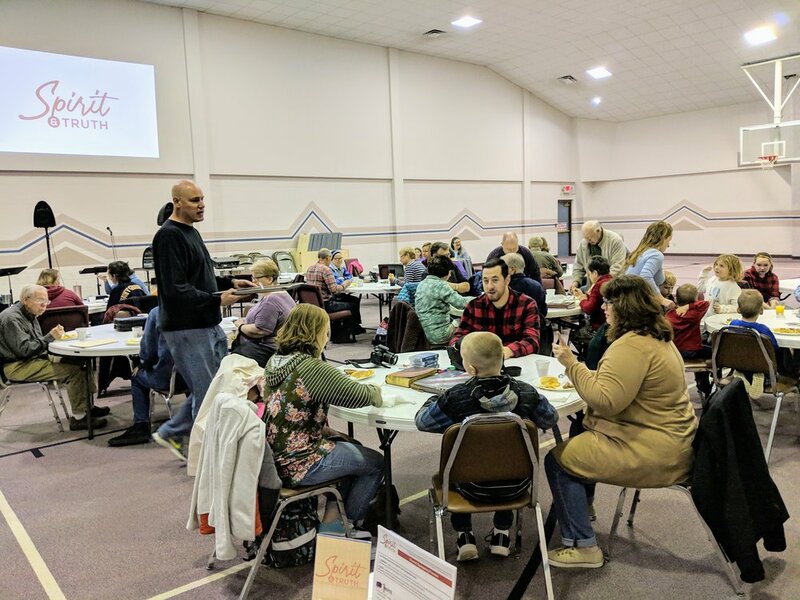 Spirit & Truth works with churches and leaders in individual churches or regional gatherings to help catalyze and practically implement core Wesleyan methods for outreach and discipleship. Spirit & Truth comes by invitation only. We don't force ourselves on anyone or show up in a given region without the invitation of local leaders. Spirit & Truth tries to discern ripe opportunities where the Holy Spirit is already at work, strategic leadership is in place, and where there is a true hunger to see a new Gospel movement. It all starts with a simple invitation which leads to a follow-up discernment process. Below is a brief summary of the one year equipping process and some answers to frequently asked questions. Interested? Feel like Spirit & Truth may be a good fit for your church? Give us a call or send us a note and we can get started discerning together if the time and situation is right for Spirit & Truth to come to your community. Let's just get this out of the way, right up front. Isn't this the question every pastor wonders when they hear about some new opportunity or program? Here's the answer: nothing...and everything. Our ministry is supported by individuals and churches who share this vision for a new Wesleyan movement in the 21st Century. When Spirit & Truth partners with a local church we come to be a blessing and there is no financial obligation. This allows us to go where the Spirit leads, regardless of church size or economic status. Of course as churches are blessed by this process some decided to invest financially in the ministry to help carry the vision forward for others, but the bottom line is...don't make this decision based on dollars. So why would we say "nothing...and everything?" Because there will definitely be a cost. Real discipleship is costly and so is pursuing change and new life in your church. This is not a process designed to simply add a new program to your church. Our desire is to help you shift the whole culture of your congregation...and that is hard work that takes serous investment! Our standard equipping process is designed to be a one year commitment like is outlined above. We are not interested in simply helping you plan an event. The American Church is not short on events! We want to work with your leadership to help you pursue sustained change in the lives of individuals and the life of your congregation. That doesn't happen overnight. We want to work with you as long as is necessary to make these new practices a lifestyle, not just a temporary fad. Is there any follow-up after this one-year process? Our desire is to continue to resource and equip all the churches we work with for the long haul. That's the reason we provide this website and social media resources to help give practical content to keep fueling your local movement. We also plan to implement quarterly regional gatherings and a yearly conference gathering where churches and leaders who have partnered with Spirit & Truth can connect with like-minded leaders for encouragement, continued learning and ongoing accountability.